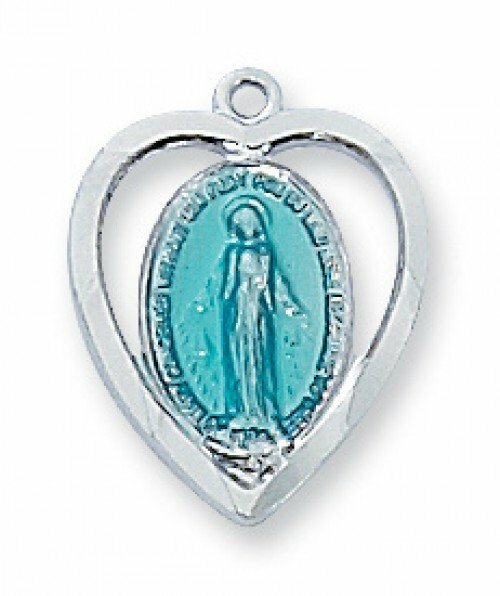 A sterling silver miraculous medal, enameled with the Marian color blue, is nestled within a heart. 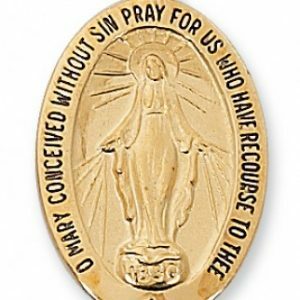 Keep your devotion, or that of a loved one, close to Our Lady. 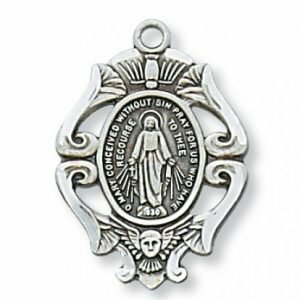 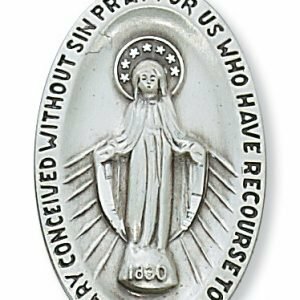 This is our most popular miraculous medal. 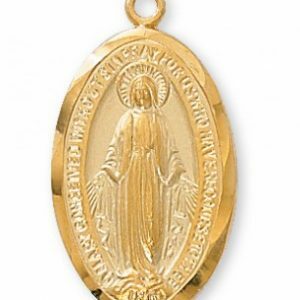 It measures a delicate 1/2″ long on an 18″ chain. 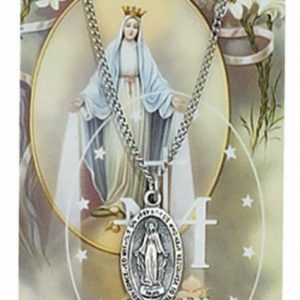 Perfect for Christmas, graduation, confirmation, birthday or other special event. 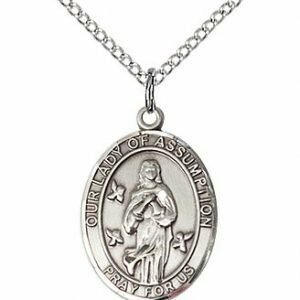 Gift boxed and made in the USA from Sterling Silver.